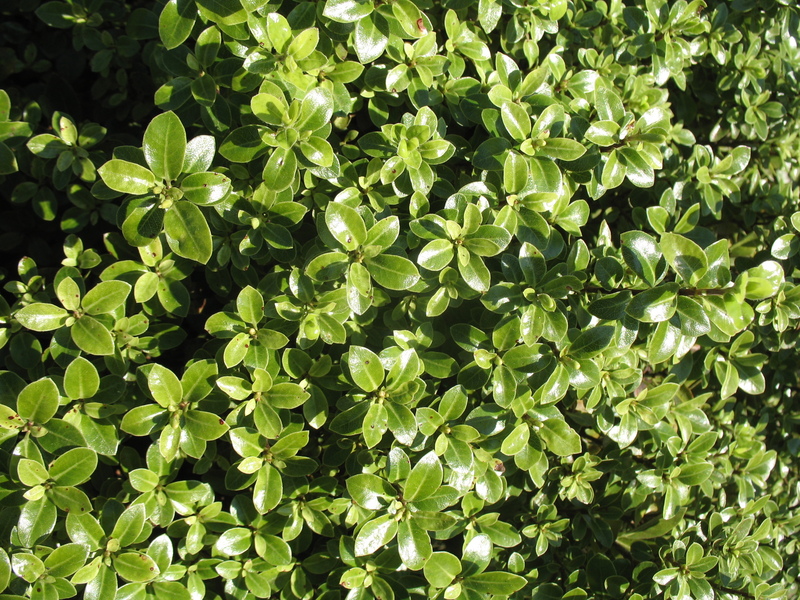 Comments: This is a dwarf, low growing selection which looks somewhat like boxwood. Reported to be the first dwarf version of the Kohuhu Pittosporum. It stays quite compact and round with little pruning. It branches freely from its base. It produces mint-green foliage with small chocolate-purple flowers in spring. Grows well in containers.